Soooz Says Stuff: Book Review 'SHARC' by author Paul Rudd. 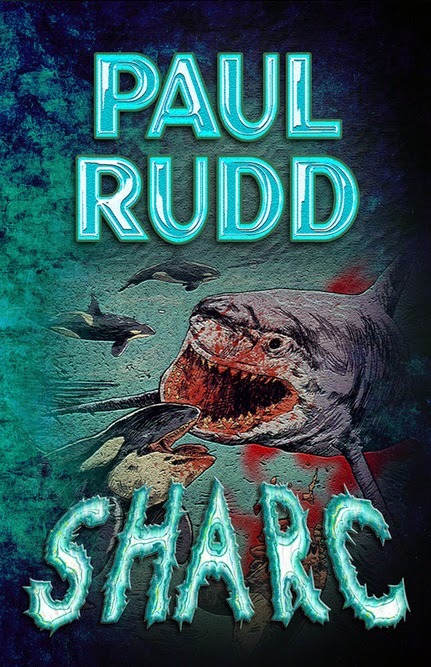 Book Review 'SHARC' by author Paul Rudd. 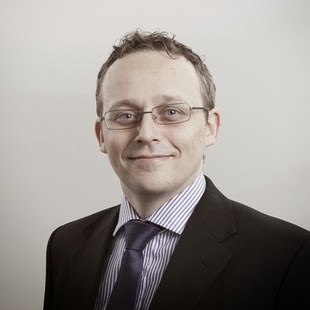 Paul spent his youth partying and playing weekend football matches with his friends, and is a self-proclaimed geek. He writes stuff and has watched movies since birth, which probably makes a lot of sense to those who know him well. Dramatic upheaval ensues when the world's largest prehistoric shark escapes captivity. Men put their lives in jeopardy to capture it, the press is getting in their way, and time is running out. In this non-stop adrenaline surge of action, anger and fear, the first floating aquarium is the scene of unprecedented carnage. Maxwell Baxter is intent on fulfilling his greatest ambition yet. In the midst of international financial negotiations to raise money to complete his ARC with the Governor of California being entertained on his private yacht, the Megalodon terrorises everything in the Pacific, no matter what their size. Comparisons are dreadful things, aren’t they? So let’s get this over with. Is there a resemblance between 'Jaws?' and 'Sharc?' The fact that the evil entity in both books is a shark, and that shark kills people, is for me as far as the similarity goes. This work differs significantly, there is a dark humor that raises it's head here on occasion, but it's so neatly inserted it catches you unawares. The author, with a surgeon's skill leaves you smiling wryly, and then surprising yourself that you did. Author Paul Rudd has developed the characters beautifully, they are not two dimensional beings, they have depth, and humor, wants and needs, faults and fears, I actually cared about these people, and that gave me as a reader a vested interest emotionally, so that those that didn’t make it out alive caused me to experience sadness. His changes of POV work well, because this clever author allowed each narrator to express unique thoughts and emotions that would stand firm in every scenario. Very nice work indeed. The plot moved forward seamlessly. Descriptive? Hell, yeah! It is a gift that some authors possess that enables them to take you to a place and time so distinctly that you can see the view, smell the air, and experience the people. Paul Rudd is such an author. Do I recommend this as a fast-paced, well researched, enjoyable reading experience? With no hesitation. Wow, thanks. I'm glad you liked it. Excellent review, and mirrors my own view on the book. I'm looking forward to reading Wild Wild Dead by Mr. Rudd as well. Thanks, Reggie. Yep! Looking forward to Wild Wild Dead as well. This sounds like a book well worth reading, Soooz! Thanks for the post and the review – it's always good to be introduced to new writers. Gerry, thanks so much for stopping by and commenting again. You are such a lovely supportive person.